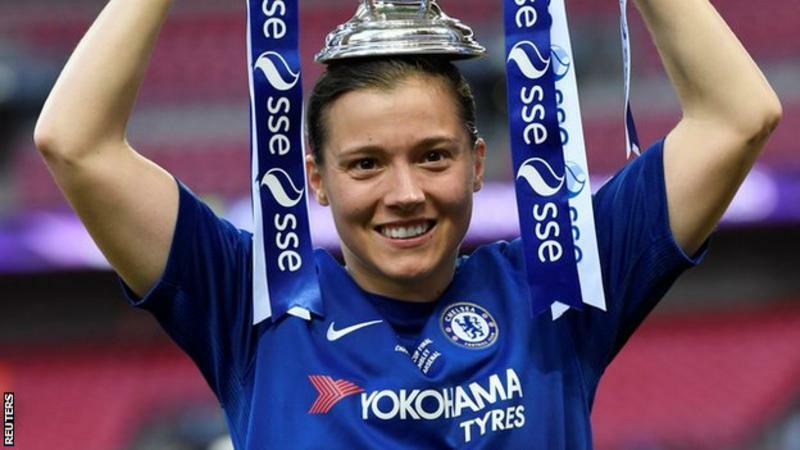 Women's footballer of the year and double winner Fran Kirby has extended her contract with Chelsea Women until the summer of 2021. England forward Fran Kirby has signed a new three-year contract with Women's Super League One champions Chelsea. The 24-year-old scored 25 goals in 2017-18, and won the PFA and Football Writers' Association's Women's Footballer of the Year awards in May. She was part of the Blues squad that also lifted the Women's FA Cup to complete a double and reached the Champions League semi-finals. Fran's selection of her top 5 goals during 2017/18.